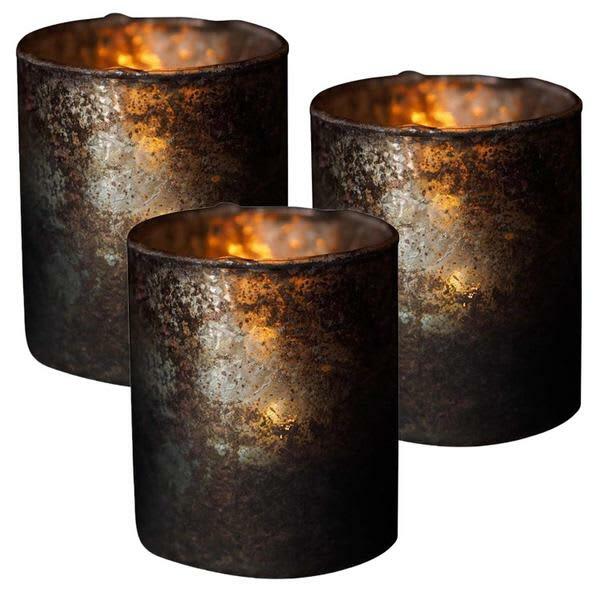 Three glass tea-light votive with an oxidised golden shimmer. Our absolute fave. You will receive three votives.